What do you get from reading that you can’t (or don’t want to) get anywhere else? The thing about reading that I love is that I can go at any pace I want. whether I am enjoying a fantasy book and want to take my sweet time. Or when I am reading some guide on how to improve my skills and learn some new tricks. Sometimes when you watch a video guide it can go too fast and will have to watch over a couple of times (which helps since I am deaf sometimes, most likely due to the ridiculous I use EVERY day at home XD). Sometimes I might not even get that option to rewind if I am watching a stream, but with reading I have the safety of going at a rate I am comfortable with. This allows me think about the content I am reading and not forget about it later. When you read, what happens inside your mind? There are two things that can happen in my mind when I start reading. The first thing that happens in my mind is when I am reading a story, lore, or any book that’s just for fun. I will picture the setting, all the character(s) as the book describes them and a lot of times I will take pauses to imagine what the character(s) looks, walks, sounds, how they think and many more details on how I think they look unless the book says otherwise. The other thing that happens when I read something along of the lines of Guides, Theorycrafting Blogs, basically anything that involves learning I will do something called “SQ-RCRC”. This stands for Survey, Question, Read, Cover, Recite and Check. It’s a method I learnt from oxford learning center that is usually used for studying that I use when I want to know something inside out as quickly as possible. But I will sometimes use it in less formal way. The best book I ever read was ___________ because _______________. This is the most interesting question by far because I originally didn't want to do this question. The reason why I didn't want to was because when I really thought about it I didn't have a favorite book. Which I thought was really silly considering all the things I have read, wanted a real answer for myself I tried thinking to myself “OK, what’s my favorite story of all time?”. And that was without a doubt the League of Legends Lore. Now it may not be a real “book” but it has so ALL things that I would want in a book. It has a diverse, colorful, large, unique, universe that is always growing. All the stories have a great pace and plots that make you want read more and more. And finally to top it all off the best thing about it, the characters. Few books, movies, and even videos game can pull off having a large amount of characters that are interesting, unique, and for lack of a better term alive. League of Legends currently has 115 unique champions that all have different backgrounds, personalities, and appearances. If that wasn't enough they all interact each other and none of them are truly are under the typical “good guys” or “bad guys” categories. They are all just different shades of “grey” , some people would say “Varus, The Arrow of Retribution” may seem like a really “dark” character but if you read his story you would know that he actually was a kind caring solider and the most killed archer of his village. Which was he was choosing to protect a temple that contained an ancient evil that he needed to make sure didn't fall into the wrong hands. When Noxus (A Faction/Country in the League of Legends world) invaded his homeland of Ionian he had to make a choice between keep his oath to make sure no one would use the ancient evil or protect his village. He decided that he would not break his oath and protect the Temple. Unfortunately when he came back his village was in ruins and his wife and daughter did not survive. Enraged by this he goes back the temple and uses the dark powers in the temple which he gave everything had for to get revenge on those killed his family. This a short summary of one of the wonderful Characters in League of Legends. Now I KNOW this was a very long post but one more thing I had to throw in is that not only do I get read about these characters I get to play as them and walk a mile in their shoes. Even if you’re not a gamer, imagine how cool it would be to your favorite character(s) from your favorite book or movie. I don’t have a smart phone, I have an iPod which I keep with at all times and can use at any time. My parents have a kobo thing I can use if I really needed I usually read E-books on my iPod and my mac. I do have a Twitter account but I rarely ever use it. The only time I use it is sending tweets about E-sports when they are asking viewers in stream about stuff. I really didn't have a blog until today but I would posts and comment on stuff often on theorycrafting website called Reign of Gaming (theorycrafters are people that usually give strategies to players and give explanations on why they work).My interest in this course comes from wanting to become a better writer so I can share my knowledge and be as clear as possible. P.S. 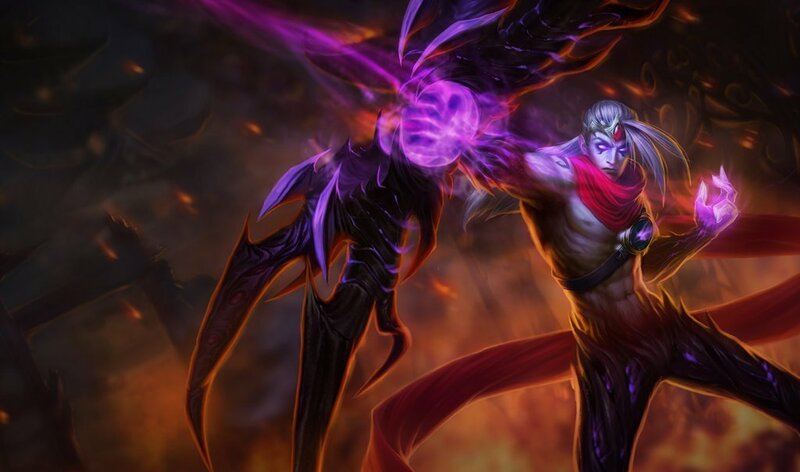 For this wondering what Varus might look like here's a picture of him and if you ever need to know anything League of Legends I am your man.